This frilly green garnish, peeks out of a big glass of ruddy-red drink, and is easily identifiable as none other than a Bloody Mary. A combination of vodka, tomato juice, a delightful blend of spices, and garnished with a celery stalk; thus creating the perfect cocktail for a morning tradition. 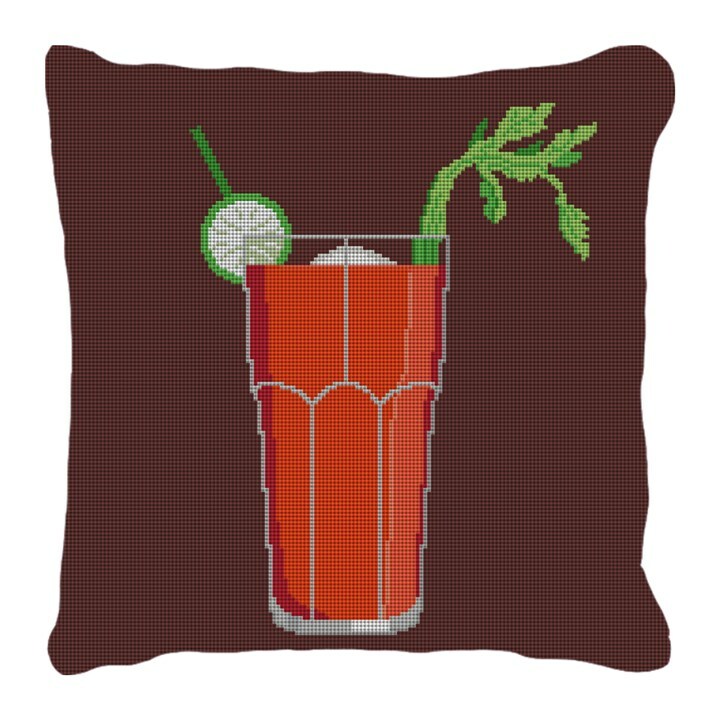 We have designed this pillow for you to stitch, featuring your favorite cocktail. Pair it up with another one of our cocktail pillow canvases, and create a blend of whimsical accessories for your living space.